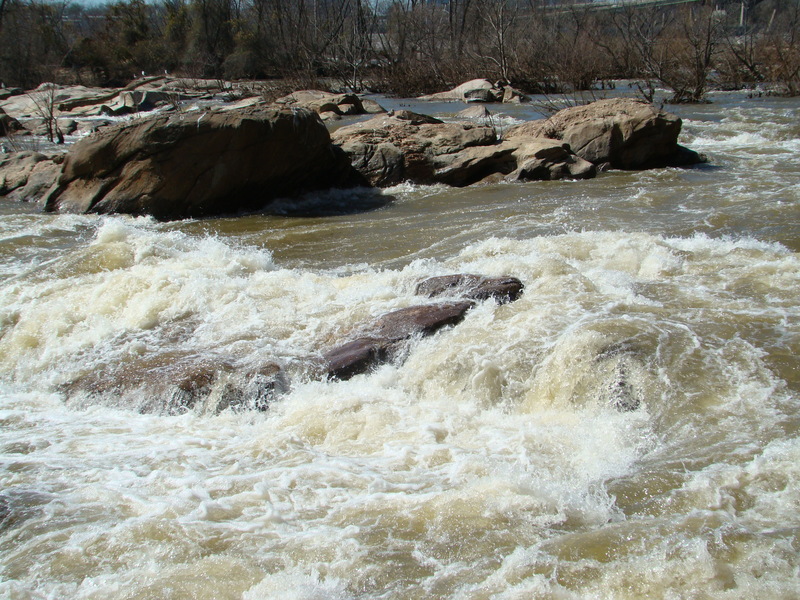 You are currently browsing the tag archive for the ‘James River’ tag. You would expect that the writer of Insiders\’ Guide to Richmond would bubble with enthusiasm about good ole RVA, and most days that is certainly the way I see this town–rivery, artsy, quirky, historic, architecturally interesting, and quite tasty. Walking all over town on our Real Richmond food tours, I get the chance to tout what’s going on and what’s coming up. I’ve been high on Richmond for a while, and rarely turn down the chance to go over the top in my search for unique experiences. 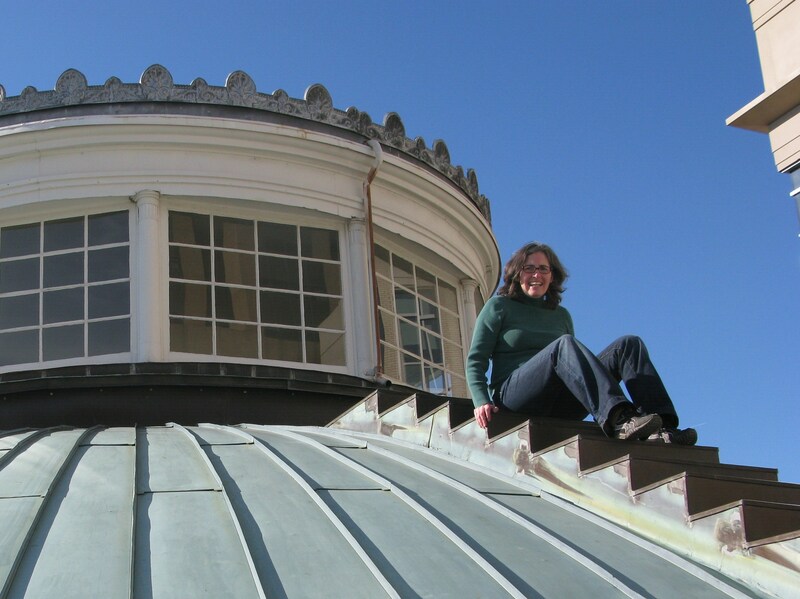 Hence this shot atop Monumental Church while I was writing the book–ok while I was researching the book. My hands were gripping the treads pretty tight to get much writing done up there. So when I say something’s coming up, I really mean it. 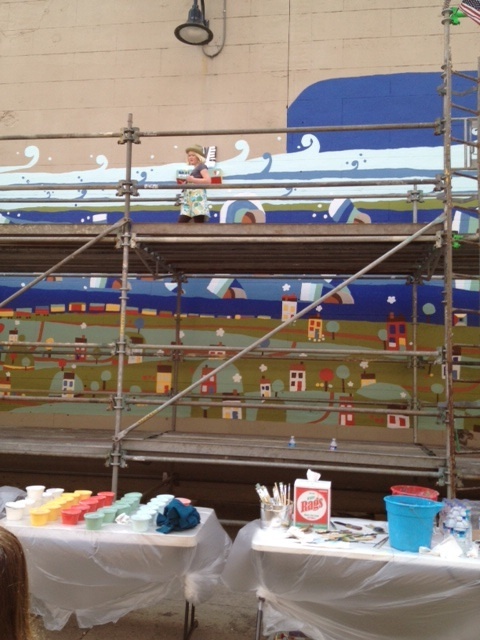 One of my favorite things coming up Oct. 20th and 21st: Over the Edge. 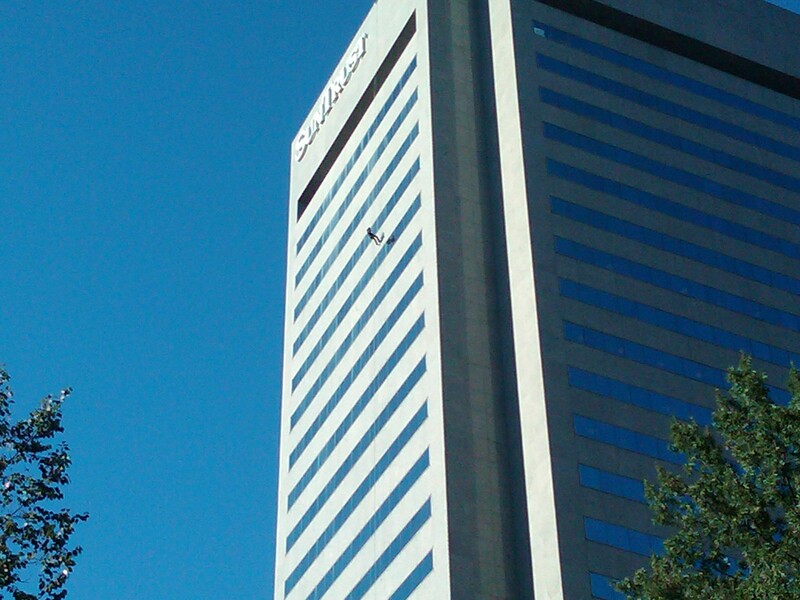 Last October I had the distinct pleasure of rappelling down 25 stories of the SunTrust building on E. Cary St. in Shockoe Slip for Over the Edge–Special Olympics Virginia’s extreme fundraiser. I’ll do it again Oct. 21st. People do this nutty thing to raise money and awareness for Special Olympics and all the good work they do year-round for the thousands of Special Olympians in Virginia. It’s really not much of a challenge to be pampered and outfitted and safety-checked and instructed to do something for 30 minutes that lots of people would kill to do. Poor word choice. People with special needs handle much tougher challenges every darned day, and more often than not they don’t get cheered and acquire goodie bags and t-shirts for their trouble. Special Olympics activities–the big ones we hear about–and the smaller, more routine ones we don’t–offer the chance to exult in effort and accomplishment and cameraderie. That always feels fantastic. If you want that feeling to have staying power, please support Special Olympics. It will give you a natural high, too. Last week while the James River was still running at flood stage, I went down to the Pipeline Trail, just east of the Christopher Newport Cross near the Floodwall at 12th and Byrd St. (Parking is available in a small lot there.) The roosting Great Blue Herons were visible in their Dr. Seuss-like nests in the middle of the river and my friend, Mary, who has a bit of a fear of heights, braved the ladder down onto the actual pipeline that put us close to the action of the river and the wildlife and right under a working railroad track. What a great combo! Herons come home to roost in Richmond. I love that Richmond has places that are not Disney-fied and perfect and perfectly safe yet are still available to the public. Go at your own risk and try not to be too dumb, public! We managed to stay on the pipe–there are rails for much of it–but had to turn around where it was blocked off due to high water. We saw some fish fighting the current, but we weren’t tempted to behave badly since the water was pushing hard. When a loaded coal train rumbled overhead, we were happy that somebody built that trestle to last. It’s often a great spot to watch expert kayakers ply their trade. 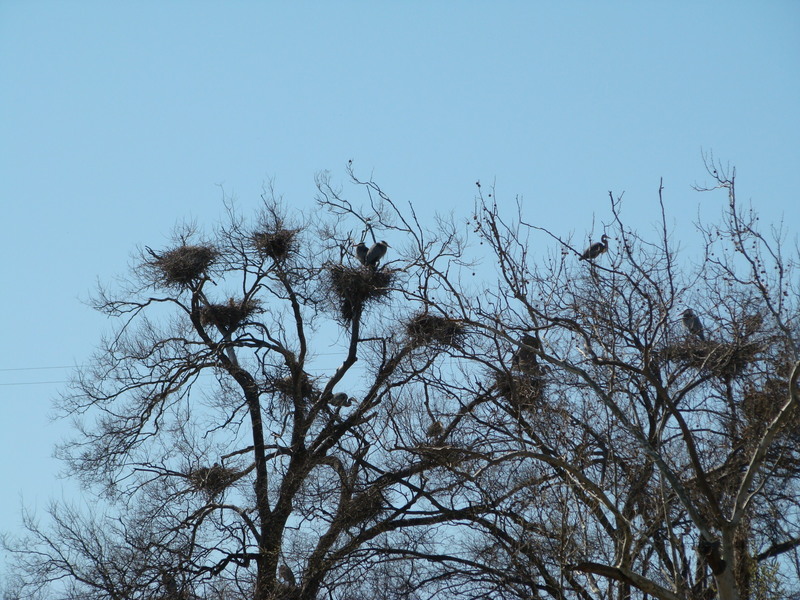 If you’d like a guide, there will be a Richmond Audubon-led tour of the Heron Rookery this Saturday, March 26th at 10 a.m. Park at the boaters’ 14th St. take-out parking lot, but remember that the 14th St. Bridge will be closed some on Saturday, so you’ll have to arrive from the north. Guys not necessary. Compared to what some people have done for the James River Park System, it might seem miniscule and inconsequential to do your own part for the future of the park by completing your JRPS license plate application: JamesRiverPark_LicensePlate_FAQ11, but I’m here to tell you that writing a check for $25 (which money would be returned to you in January if we don’t hit our 350 apps goal) for a James River Park System license plate is the most important thing you can do for the park this year. And yes, I am the president of the Friends of James River Park, so ask me any questions you’d like. If we get the 190 or so applications that we still need by this year’s General Assembly session in January, you will be the proud owner of this fab license plate by early summer. 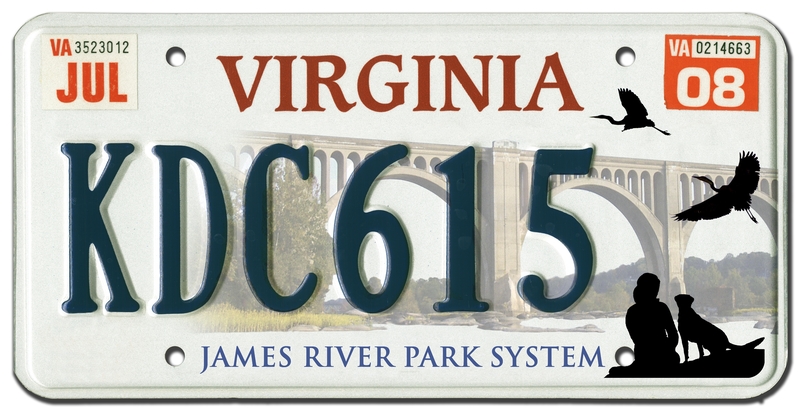 Once we hit 1000 license plates on the road, $15 of every application and renewal will come to Friends of James River Park to improve the park and everyone’s experience of it. This fall has been particularly lovely and long-lasting and I’ve had plentiful opportunities to hit the trails in the James River Park System and see all the glinting and glowing going on there. I really wonder about people who have lived here for years and don’t experience the park. It’s free and it’s strung out along the river for miles, so it’s accessible to people all over the region. 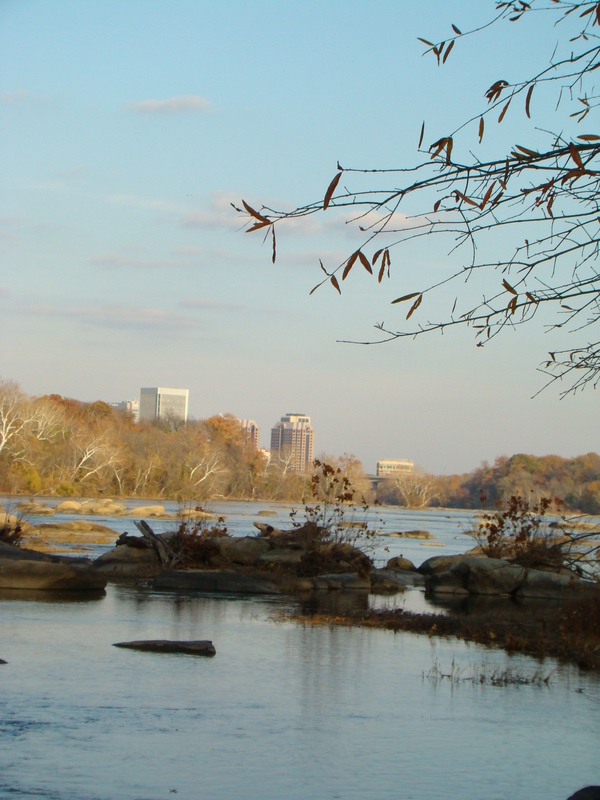 There are even wheelchair accessible spots at Huguenot Flatwater, Pony Pasture, Belle Isle, and Ancarrow’s Landing. Rock-hopping in the Main Area as I did with my son yesterday, parking at the 42nd St. entrance and walking down the steps and across the bridge over the railroad tracks, we walked over to the granite and bronze marker that the Friends of James River Park put up last year. It honors Jack Keith and Joe Schaefer, two area citizens who in the 1960’s noted that there was no public access to the river and decided to do something about it. They researched who owned the parcels along the river in Forest Hill and Westover Hills and quietly accumulated the islands and shoreline. They then turned around and gave the land to the city for a park. 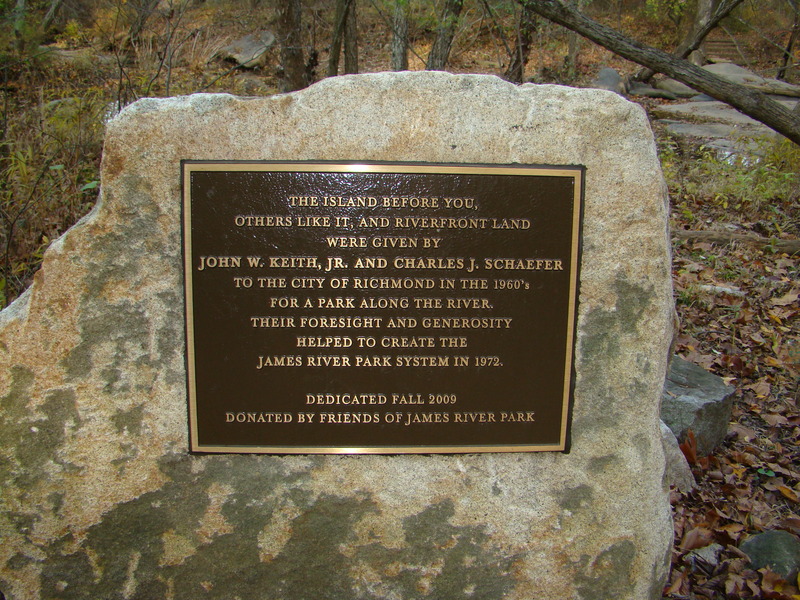 In 1972 it became the James River Park System. It is not an overstatement to say that the work, foresight, and generosity of these two men have brought joy to millions of people. Two guys–what a legacy. Where it all started--thanks, guys! To help FOJRP continue what Mr. Schaefer and Mr. Keith started, please fill out your JRPS license plate application and send it in to us today! FOJRP is an all-volunteer, shoe-string kind of charitable organization –a 501c3– and making this license plate campaign successful would be a huge step for us in securing a constant stream of income that we can use to protect and improve the park. Thanks for your help in spreading the word. If two guys can do what they did, certainly 200 people can accomplish something worthwhile as well. Some cities’ guidebooks combine Recreation and Parks in one chapter. I knew we had more than enough to split that, so I did. I added an Architecture chapter because RVA is so strong and quirky in that area–Agecroft and Phillip Johnson’s WRVA building and Thomas Jefferson’s Capitol, oh my! And for that war you’ve probably heard about, I paired it, a la Future of Richmond\’s Past, with Emancipation, so visitors don’t think we’re living in some twisted, glorified past. What happened here is more complicated than most people realize and there are lots of compelling and illuminating stories that still need telling. I didn’t like that in the Houston guide, which oddly enough was my template, art galleries were listed only in the Shopping chapter, so I paired our art galleries with museums in one chapter. Historic houses get their bit in the Attractions chapter. In the Restaurant chapter and several others, I decided to do things differently than most dining guides around here and not go alphabetically. It made no sense to me to let Ashland, no matter how many times I’ve heard it referred to as the center of the universe, get top billing in Richmond’s book when it’s 15 miles out of town. And Brandermill and Chester!!! Um no. I started Downtown and circled around within the city north of the river and then went south of the river for the rest of the city. Only then was it the counties’ turn. 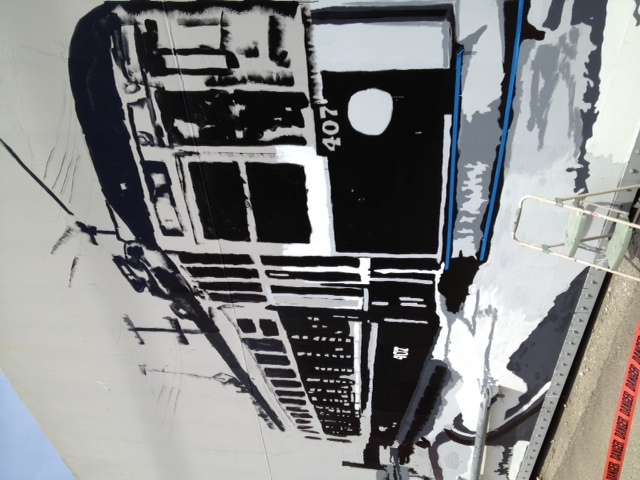 Let’s not kid anybody–the best attractions are within Richmond’s city limits. Sometimes in the guise of regional cooperation, people fudge that. I put the city front and center as often as it made sense to. There’s just no question where the action is even if the counties offer some interesting and worthy destinations now and again-the State Fair in Doswell is one such event. I could psycho-analyze Richmond all day long and share my various theories about why we hide our light under a bushel, but I’d rather blow the lid off and show people how worthy we are–even if we’re not quite ready. See my article online at Richmond Magazine, Richmond, You are Here, for more of my thoughts on improving the visitor experience in Richmond. I’d love to hear yours. Sausage king and Grammy-winning Jimmy Dean died the other day just down the James River from here at the age of 81. Don’t think he and I had the same tastes in music or sausage, but from what I’ve read, he done right well from humble beginnings and was a nice, generous guy, so that’s fine he had a long, full life–including rating induction into the Country Music Hall of Fame and the Meat Industry Hall of Fame. Now that takes a true ham. He and his wife, Donna Meade Dean, had a $350,000 piano-shaped mausoleum designed for him to be entombed in on their Varina property overlooking the James. Wowza. It’s a reminder that no matter how alike we humans are, there are some notable differences. I, for instance, haven’t yet finalized the design of my chocolate chip cookie-shaped mausoleum. Shakespeare is always right. Didn’t he almost say, “Oh brave new world that has such people in grand piano mausoleums”? I’m a little disappointed that the Deans passed on the sausage-shaped mausoleum. THAT might have been enough to make the Dean estate Richmond’s Graceland. This will have to do. I mean it quite literally. My friend, who shall remain nameless for her own safety, has a lost log. She’s as upset about it as you can imagine. She adopted the log after the big recent flood deposited it on her neighbor’s riverfront property. It was a damned nice log, hollowed out, loaded with character. Who wouldn’t covet such a log? She knew it deserved a home, a place where a cat would scurry through it or take a nap on it, so she called up her neighbors and asked if she could take it off their hands. 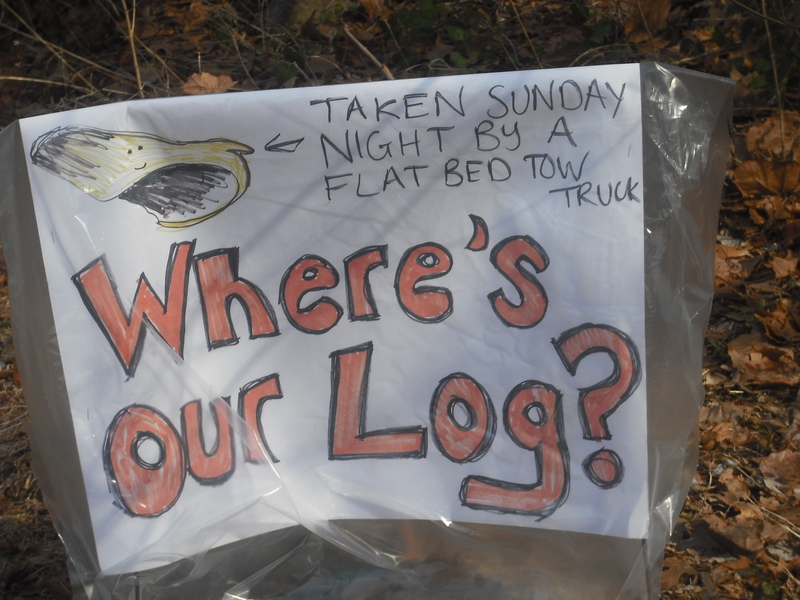 Her neighbors, not being log-lovers, obliged, so this friend and her husband attached the log to the back of their car and dragged it back to their property. It was heavy as hell, so they didn’t put it exactly where they wanted it, leaving it closer to the street than was ideal perhaps. So last Sunday, this friend heard a sound in the night that sent chills down her spine–the sound of a flatbed tow truck being a flatbed tow truck at the bottom of her driveway. Not a sound I recognize right off the bat, but I don’t doubt her. At any rate, the next day, the log was gone. GONE! By 9 a.m. I heard the news, after only 12 other people had been notified. The tow truck community was next. I had never before given much thought to the tow truck community, but now I worry that the next time she needs a tow truck, it ain’t gonna end well, but that will be a post for another day. This post ends as it should, with my friend’s call to action. Disgusted with herself for not chasing down the thief on her property, she hoped to prove once and for all that the magic marker is mightier than the tow truck. She didn’t post Lost Log flyers or get Crimestoppers or Call 12 involved (yet), but she didn’t take the theft lying down either. 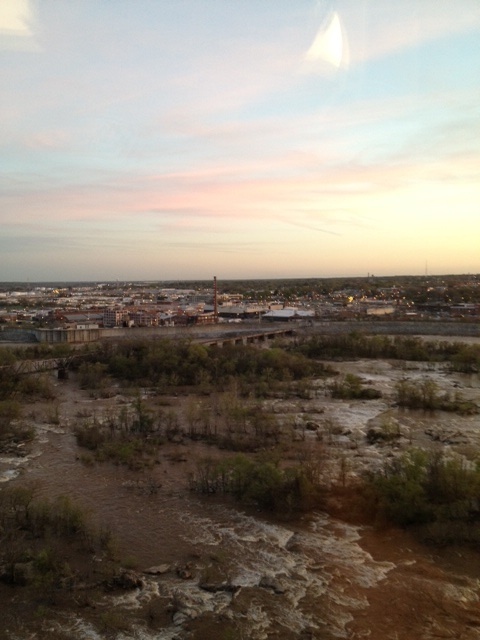 Floods are spectator sports here in Richmond, especially a flood as fast and furious as this one. 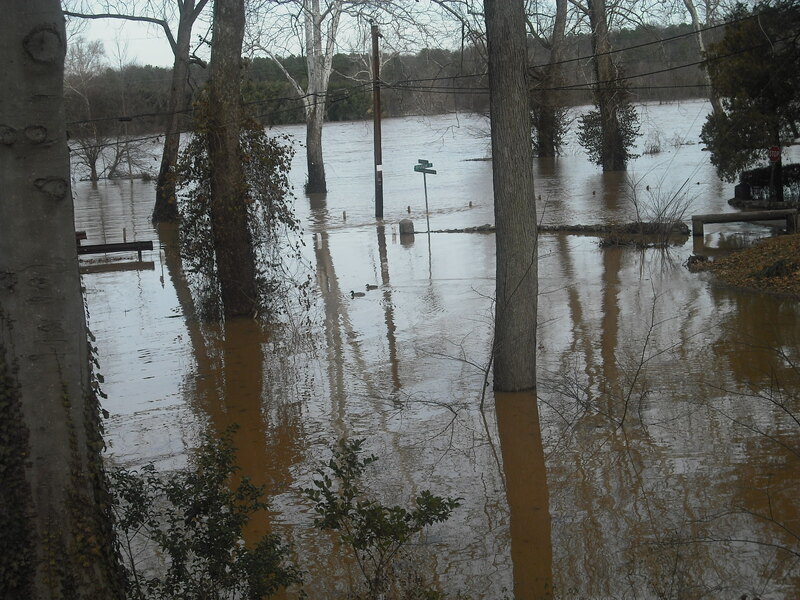 The James was 6 feet over flood stage, and at that point it floods Riverside Drive around here. Roads get closed and people park nearby and have to see it. I was downtown at Tredegar this morning and the James was chugging along much faster than the freight train above. In my neighborhood, the river backs up Rattlesnake Creek so that it’s lake-like. It’s fun to see what you take for granted change so completely. It changes everything except the stupidity of some people. So many people who live around here near the river were apparently caught by surprise that the road was covered. Had they not seen the river inches away from the road the day before? Saw one guy in his 4 wheel drive vehicle go through it, all manly-like. He proved his point and now his brakes are all rusty, so there. I think some people assume the river has no right to change–that it’s a static thing, just window dressing–pretty background music. But the river has other ideas, and pretty is only one of its defining characteristics, not even its most interesting.